The museum today is an important center for understanding the Indo-Portuguese Christian Art heritage, which is still surviving. The museum is the outcome of the untiring efforts of the late Dr. Joseph Kureethra, Bishop of Kochi. 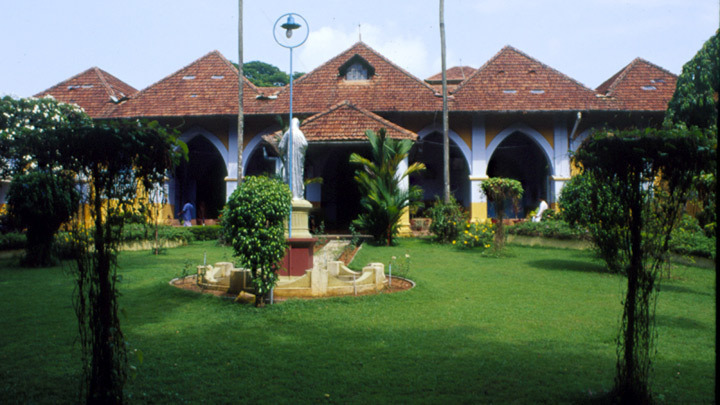 Driven by sheer commitment to protect the rich heritage of his Diocese, the bishop established the Indo-Portuguese Museum to preserve some of the invaluable collections for posterity. The museum is divided into five main sections, according to the nature of items displayed. They are – Altar, Treasure, Procession, Civil Life and Cathedral. The Calouste Gulbenkian Foundation has also contributed to the rich collection at the Indo-Portuguese Museum and these include sculptures, precious metal objects and vestments, among others from the Cathedral of Santa Cruz and other churches of the Kochi diocese. The Indo-Portuguese Museum in Kochi is indeed one of those symbols in the annals of Kochi, bearing the rich heritage of Indo-Portuguese culture and artistic influence. Visiting Hours: 1000 to 1700 hrs. Closed on Mondays and all Public Holidays. Entry is free on 1st Thursday of every month.